While December 3 is the International Day of Persons with Disabilities, and November is known as Disability Month in South Africa, RAM’s commitment to promoting the rights of people with disabilities is a year-round, ongoing effort. There is no reason why people with disabilities should be excluded from the courier industry. All it takes is some accommodation to adapt the workplace to their individual needs, and a promising career awaits those who are prepared to work hard to get ahead. That’s the message RAM gave to learners from several high schools for children with special needs who attended a career exhibition hosted by Hope School in Johannesburg recently. 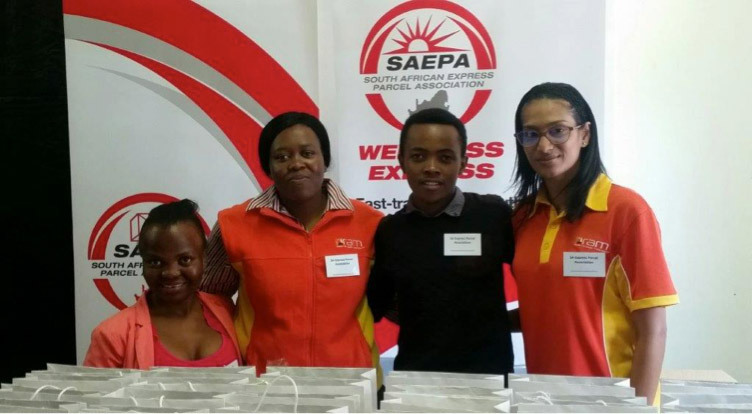 There were more than 40 exhibitors present, and RAM – as part of the South African Express Parcel Association – was on hand to provide information about opportunities available to them in our industry. RAM is able to offer young people with disabilities learnerships and bursaries, as well as opportunities for position across most of our operations. We are even able to provide young people with certain physical disabilities an opportunity to become drivers. Meanwhile, in Durban, the KZN RAM team was quick to respond to a request from the Colt Shooting Institute to assist them in raising funds for Collegevale Primary School for leaners with special educational needs. We raised sufficient funds from our staff and the company to purchase and install two brand new computers and a printer which will make a huge difference to the quality of education these children receive. And who knows – one day some of them could even become members of the RAM family as a result.